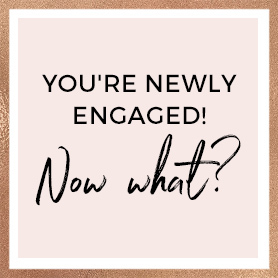 To get the most out of Brides Club, you’ll need to identify what stage of planning you’re at so that I can direct you to the resources and guides that are most relevant to you right now. Head here for all the templates, checklists, playlists, and guides you never knew you needed! As a member of Brides Club you are eligible for 100s of handpicked discounts from a whole range of wedding vendors and brands that cover all styles, budgets and locations. Head right here to access them all! One of the most popular features of Brides Club where you hear it straight from just-married brides - they tell you what worked for them, as well as what didn’t, so that you can benefit from their experiences. Every month we have a live interview with another newlywed - the dates are always posted in advance so that you can tune in live and ask the newlyweds questions too! Can't tune in live? Don't worry! We record our all the interviews and post them in here for you. Have a question that just can’t wait? Call me direct – I’ve got your back! The information contained inside Brides Club is confidential, privileged, and only for the intended recipients and may not be used, published, or redistributed without the prior written consent of Karen Cinnamon. It’s important to note that publishing or redistributing the information inside Brides Club is a violation of the Terms and Conditions of membership in Smashing The Glass’ Brides Club which can result in immediate termination of your membership with no refunds given.